Englert Theatre — Sunday, Jan. 27 at 7 p.m.
Taylor Goldsmith spent a week recently sitting in his Los Angeles house alone, practicing every song he’s ever released. For the lead songwriter, singer and guitarist of Dawes, that adds up to 63 songs over the last 10 years. The band plans to play every one of them over the course of this leg of their “An Evening with Dawes” tour, which comes to the Englert Theatre on Sunday, Jan. 27. Tickets are $40. 2019 marks a decade for the band, which has already released six albums. Their latest, Passwords, was released back in June of 2018 on their own HUB Records. It seems strange to ask Goldsmith, just 33, to look backwards and think about 10 years of touring and recording music. He’s quick to trace the early history of Dawes with strokes of chance and luck. Goldsmith didn’t have to call any more plumbers after North Hills was released in 2009. 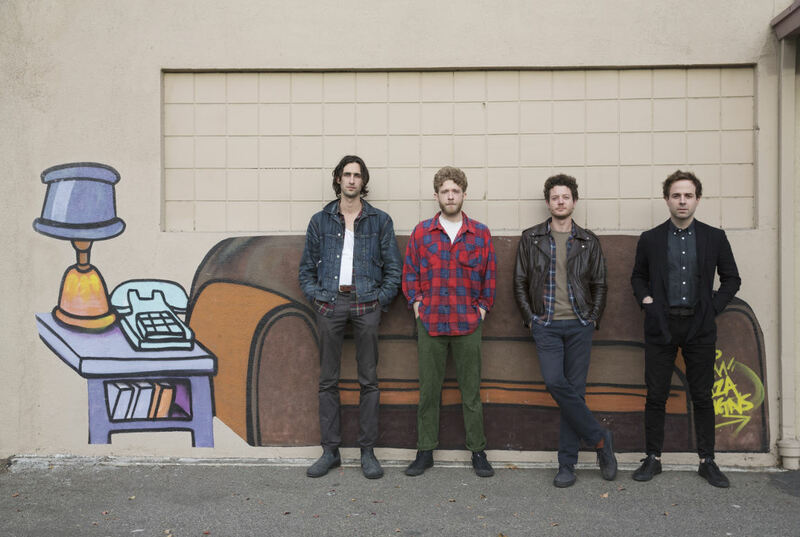 Dawes quickly became critical darlings, hailed to the point of bruising as the latest harbingers of the ’70s Laurel Canyon singer-songwriter sound. When they emerged, it was as a band with a reputation for being a band, in the full sense of that word. On their first headlining tour, they performed as the backing band for their openers, and their talents as a unit were recognized further when they were picked to back up Jackson Browne and John Fogerty. David Letterman also picked the band to perform a tribute to Warren Zevon, one of his all-time favorite musicians and friends. With each song and each additional album, (released at the rate of nearly one full-length album every two years), Dawes has worked to push forward from those original comparisons to Browne and Crosby, Stills and Nash into something unafraid of the modern. For Goldsmith, relearning the lyrics to his own songs has been a revelatory exercise. “Some songs I didn’t even know what they were about, but now [it feels] very clear to me … That’s been a real interesting process, getting to kind of know my younger self through the songs,” Goldsmith says. He brings up the song “If You Let Me Be Your Anchor” from their debut. In many ways, Goldsmith’s personal life is like a perfect Instagram photograph seen through a cracked screen: human beauty lost somewhere in the broken space of what surrounds it. Passwords is full of songs that find Goldsmith looking out from that nebulous place we all seem to be living in, caught somewhere between despair and hope, and looking for a solution. “I feel like songs are experiences you are walking through. I think that sometimes [when] you watch a TV show or you look at a painting or whatever it is, you might walk away and you might feel elated, opened up, and refreshed, but you also might feel sick and traumatized or really dragged through the mud. I feel the same is true for songs. It’s especially true when you are singing those songs every night,” Goldsmith says. It’s an undoubtedly modern record, even for the often verbose Goldsmith, with lyrics depicting a “database,” “micheladas” and the “great divide.” He says he hopes it’s political in a way that goes far beyond which political party his listeners are registered with. Goldsmith is fighting that low grade fear the only way he’s learned how over the last 10 years: with pen and melody first, then tackling the miles between shows with his bandmates and fielding phone calls with strangers. These days, we all deserve some earnestness.